Jayne Nicholls has NEVER had a boss. She has spent the last three decades forging ahead in the fitness industry and now helps other aspiring fitness professionals to get the qualifications and direction so they can set up their own unique businesses. 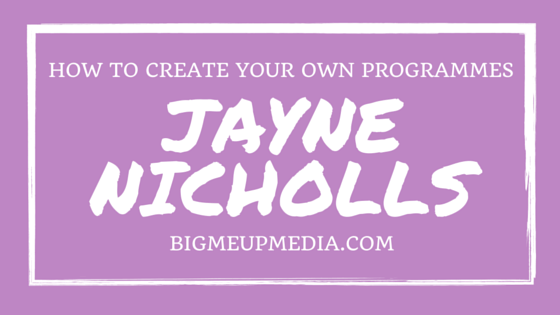 In this podcast, Jayne talks about how she got started, what she thinks needs to be done to create a successful idea, and she also shares her frustrations with budding fit pros. Thanks for listening to the Big Me Up Podcast. Did you enjoy it? If so, why not share it with your friends so they can listen too! We appreciate all feedback, so feel free to leave us a comment. The podcast is also available on iTunes, so why not subscribe and get automatic updates!